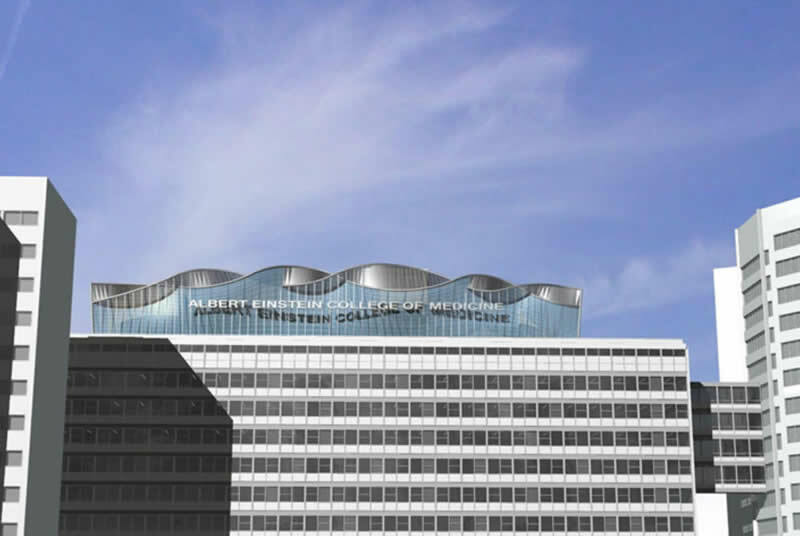 The Albert Einstein College of Medicine of Yeshiva University is one of the nation's premier institutions for medical education, research and clinical study. 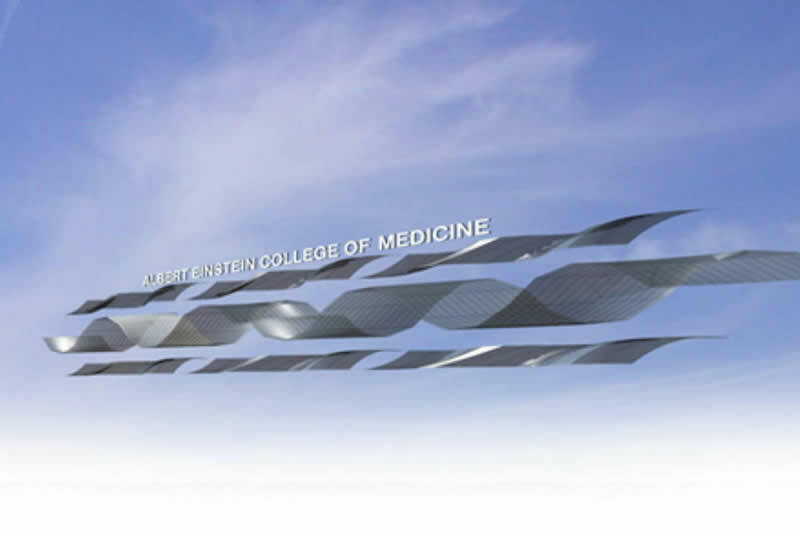 On his 74th birthday, March 15,1953, Professor Albert Einstein formally agreed to permit his name to be used for the first medical school to be built in New York City since 1897. Ground was broken for the Leo Forchheimer Medical Science Building, in October 1953. 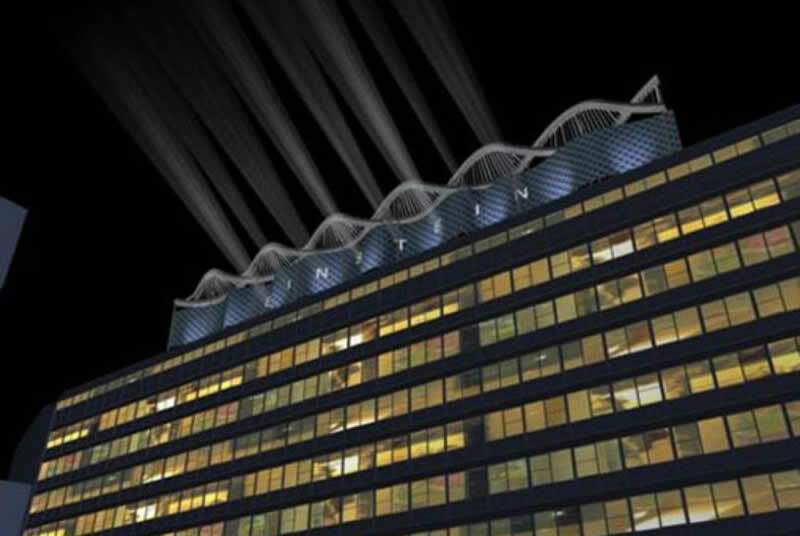 Today, the Forchheimer Building is at the heart of the campus and serves as the main entrance to the institution. 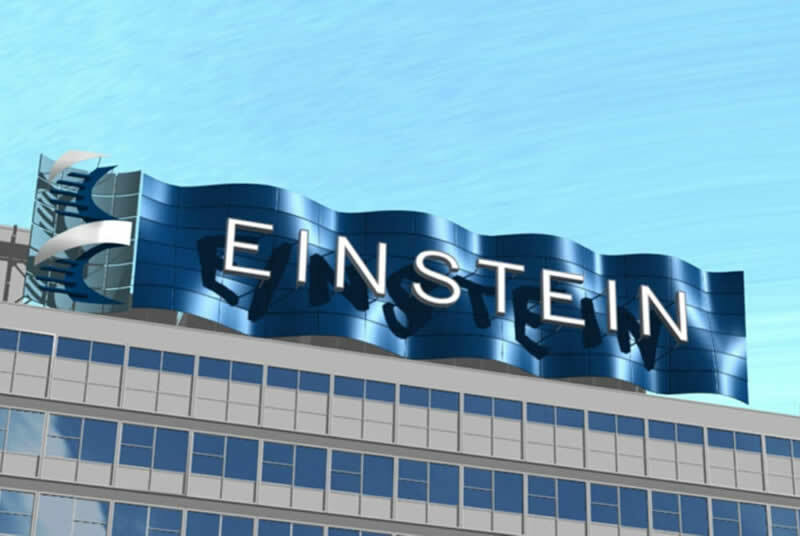 The Design Alliance was commissioned by Einstein to collaborate with a new branding makeover and image development campaign by providing an architectural solution within the opportunity of modernizing the Forchheimer Building Systems. 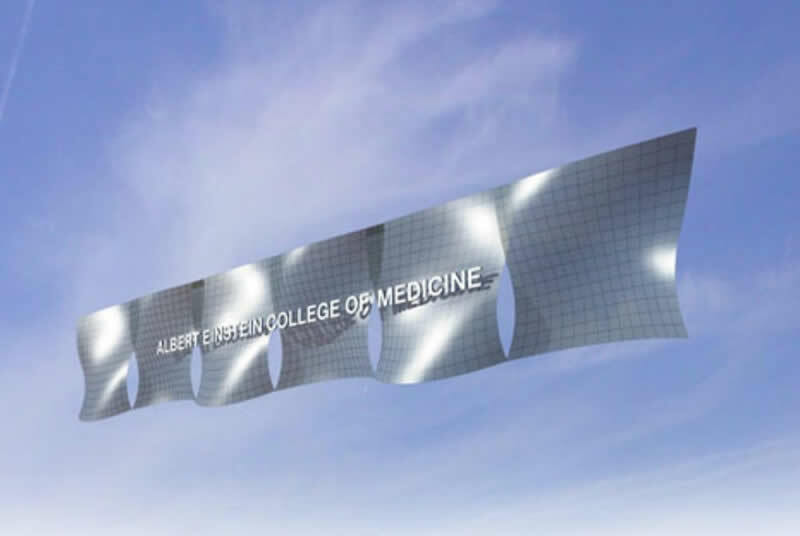 The result is a soon to be constructed roof top sculpture derived from a series of studies in screens, signage and lighting to emphasis the new identity and logo.